I know, I know its only September.....but to me that means Christmas is actually within sight! I like to be prepared when it comes to Christmas and start thinking about my gifts early on....and so with that in mind, I'm introducing a weekly Christmas Countdown Gift Guide feature! Who's It For? : Dads & Partners would be my first thought! 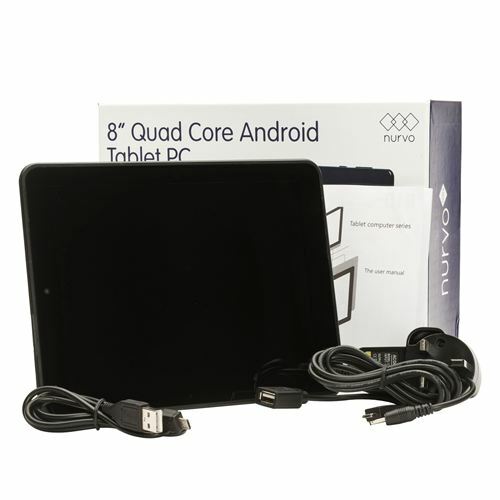 We were very kindly sent a device to try out for the purpose of this review, and I have to admit I did find it a little confusing at first - but then I am not the most tech-savvy of people and I have actually never used a tablet device before! Once I'd had a little read through the information and played around with it for a while, I found it much easier to navigate. The tablet feels sturdy and durable, unlike some rather flimsy and delicate looking things I've encountered in the past which I've been too afraid to touch! The screen is a perfect size for a tablet - not too big, not too small. And as it's a touchscreen device the screen takes up the entire front of the device. The camera function features both a standard camera and a video camera, and the 2.0 mega pixel quality seemed quite impressive to me. It has a forward-facing feature to enable the good old Selfie's which is always a plus! As the tablet is a budget alternative to the more high-end brands, it is really ideal for parents of young children as - inevitably - there will be sticky fingers trying to grab for it and even the possibility of damage being caused when you turn your back for a few seconds! And who wants to risk a £500+ product coming to that sort of harm?! With this product being under the £200 mark, it really does seem a far more sensible option with little ones around - and you're paying less without comprising on performance quality! Ideal! The Nurvo has an RRP of £179.99 but is currently on sale for £110.38 on Amazon. 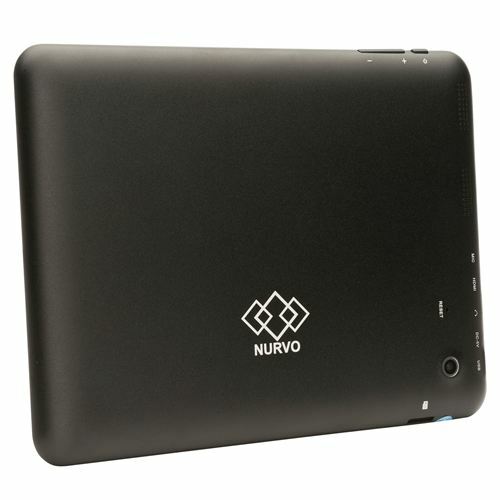 To celebrate the launch of our Christmas Countdown in true festive style - Nurvo have very kindly offered up a device to give away! To be in with a chance of winning, all you have to do is follow the Rafflecopter form below. What an amazing comp - it would make a fab christmas present for my eldest son"! I would probably give it to my BF as I have pretty much stolen his macbook and I broke it... whoops! I feel so bad but cant afford to replace it! :/ this would be great! To my grandma I think! She could do with a lieghtweight computer! I'd give this table to my friend's little girl as my children already have one and she is a very good kid. Is it ok to say me? My son, who is in his last year of secondary school. The temptation would be too much - I'd have to keep it for myself! I would love a tablet for myself but I'm pretty sure my son would end up claiming it as his own if I won! Would share this with my partner and kids. Myself - does that sound really bad? My daughter ella to help with her homework. I'd give it to my son, Im lucky enough to own a tablet already but my son loves to use it too, which can be a pain at times! I would give it to my daughter for christmas as she is always pinching mine! I would give it to my partner for xmas as he has been after one for a while and I would love to surprise him. Great prize, I love that tablets are becoming so mainstream! What a fabulous prize. I'd give it to my partner so he's more portable!! and less grumpy on shopping trips giving me more time to mooch about the shops. I think it would stop with me. I would give it to my wife as now that she has retired she will have the time to learn how to use one. I'd give it to my teenage son because he says he needs a tablet or laptop for school work. If I believe that I'll believe anything! My handsome nephew who owns my heart. I would give it my dad to put his photos on it, he's wanted to do so for such a long time. To be honest I'd keep it for myself. to myself. i would probably wrap it first too. The Hubster as he's a real techie and would love it! I would let my fiance have it. i would give it to my wife so i could have my lappy which she complains is to heavy back to myself . My Husband, he's a bit of a dinosaur when it comes to technology, I know that having a gizmo like this would tempt him into the 21st Century. I would give it to my eldest son who has just started his A-levels at college. He did fantastically in his GCSE's I'm so proud of him, so I think he really would deserve it. i would give it to my little neice bella! I've give it to my mum as she's always asking me about mine! My Husband - So I can get on my laptop! my boyfriend whos just bought a new flat! Hubby would get it - he keeps stealing my i-pad and needs a device of his own. Or maybe I would keep this and give him the old tablet. My mum so she will keep off my iPad haha!! I would give it to my dad as he's the only one who doesn't have one. I know it's selfish but I really want a tablet! I'm afraid I wouldn't be able to give it away as I would love one for myself. I would present it to myself! My gran - I would love her to get online! My Mum, she'd like to try it. I would use the tablet for Uni work and let my dad use it when he was travelling away for work. My partner as he's now started working away it would be great to stay in touch with him without running down phone credit. I would give this to my Dad. He really wants a tablet. My daughter would be thrilled.